LOWELL, Mass. -- The UMass Lowell Hockey team was defeated by Boston University, 4-1 in Game 3 of the Hockey East Quarterfinals on Sunday afternoon at the Tsongas Center. Patrick Harper added his second goal of the game on an empty netter to seal the win for BU with 52 seconds to go in the game. Junior forward Kenny Hausinger (Anchorage, Alaska) got the River Hawks on the board eight minutes into the third period for his 13th tally of the year, which made it a 3-1 game in favor of the Terriers. The Terriers skated out to a 3-0 lead in the first period on goals by Chad Krys, Joel Farabee and Patrick Harper. Senior goalie Christoffer Hernberg (Espoo, Finland) stopped 10 saves in the start, playing the first 18:34 of the game, before giving way to Tyler Wall (Leamington, Ont.) in relief, who recorded 15 saves in the final 40:28. 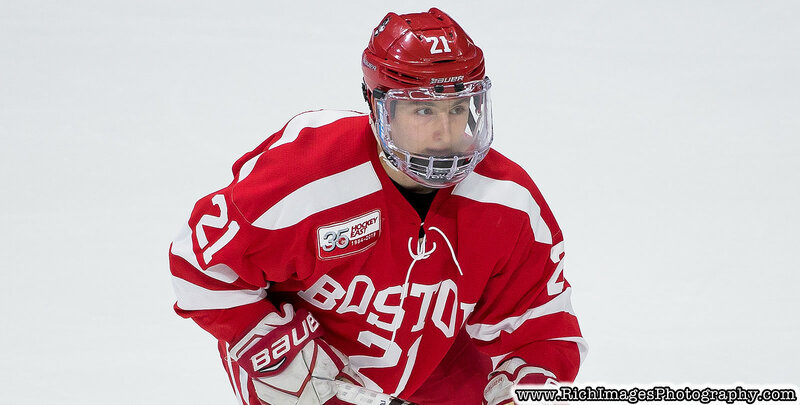 BU's Jake Oettinger amassed 18 saves in his 16th win of the season for the Terriers. Freshman forward Reid Stefanson (Winnipeg, Manitoba) won a game-high 14-of-18 (78%) face-offs in the game for the River Hawks. Freshman defenseman Chase Blackmun (Hudson, Wis.) totaled a team-high four shots goal in the losing effort. It marked the final collegiate game for seniors Hernberg, Connor Wilson (Calgary, Alta. ), Ryan Dmowski (East Lyme, Conn.), Nick Master (Broomall, Pa.) and Avni Berisha (Lake Ariel, Pa.). Wilson and Master each had an assist in the final game of their careers.